The IELTS repeat trend is on the rise. To avoid this, we strongly recommend that u choose our individual training course. It's more effective& authentic. Join sir sm imran at gulshan, north or sharae faisal. 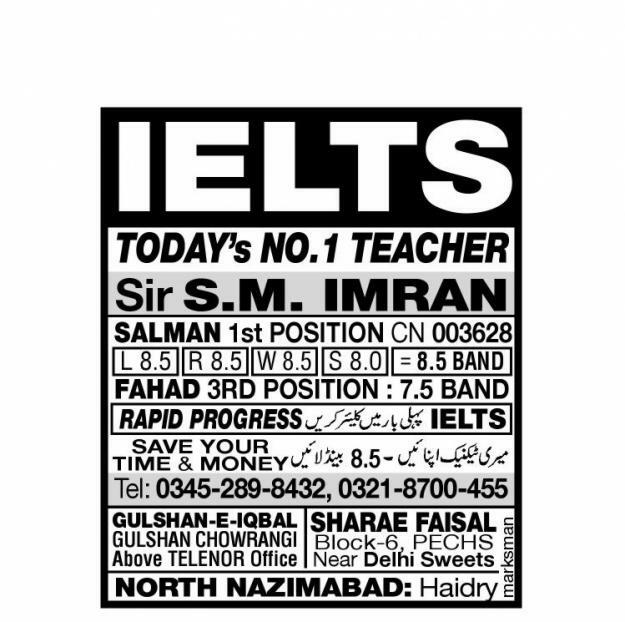 best ielts institute karachi.